According to the corporate site of ALROSA, world’s largest diamond mining company, it held in Israel its first 2019 auction for special size (over 10.8 carats) rough diamonds and sold 92 large rough diamonds of the aggregate weight of 1,570 carats, generating $9.6 mio. Firms from Israel, Russia, Hong Kong, Belgium, India, the United Arab Emirates and the United States participated in the auction. “By the end of the year, we will hold five more auctions here. 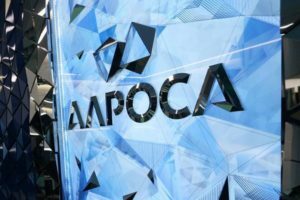 Though we see some difficulties with demand, we expect it to recover,” Evgeny Agureev, Member of ALROSA’s Management Board, said. In 2018, the company held six auctions for special size rough diamonds in Israel, and the respective revenue was close to $90 mio.